Though flu coinfections are relatively rare, they could mean the end of life as we know it. For years people have been writing about the potential for an apocalyptic flu outbreak. 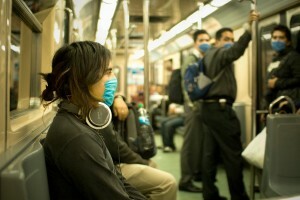 In fact, just this year we got a new apocalyptic flu movie: Contagion. One of the reasons this hasn’t happened is that deadly flu strains like H5N1 (bird flu) don’t jump from human to human as effectively as seasonal flu strains–the kind that keep us home from work this time of year. Take bird flu, for example. As of October 10th, 2011, the World Health Organization (WHO) had identified 566 human infections from H5N1, and 332 deaths, a fatality rate of over 60%. Nonetheless, the virus has shown limited ability to pass from human to human. Nearly all infections are the result of contact with sick poultry and other diseased birds. Recently, however, researchers monitoring flu viruses in Cambodia found a rare instance of “coinfection.” That is to say, someone infected with both a seasonal and pandemic strain of flu at the same time. When flu viruses mix in cases like this, there is a greater chance they will genetically recombine, or mutate, into a strain more easily transfered between humans. In short: recurring cases of coinfection are a recipe for Contagion. Scientists looking at historical data found that in October 2009, a boy and his teacher were infected with both H1N1 and a seasonal flu known as H3N2. In this case gene sequencing revealed there had been no recombination, but the risk remains. The report noted the prevalence of H5N1 in poultry in Southeast Asia means increased opportunity of human exposure, and thus mutation into a lethal virus “suitable for sustained human transmission.” Pandemic flu strains, such as swine flu, usually contain a mixture of genetic material from both animal and human flu strains. Swine flu samples isolated in California in 2009 had elements of North American swine influenza viruses, North American avian influenza viruses, human influenza viruses and a Eurasian swine influenza virus. Pandemics in 1957 and 1968 have also both been traced to combinations of avian and human flu strains. 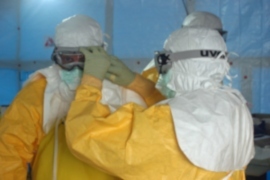 This kind of thorough surveillance and scientific investigation is the result of a commitment and collaboration of health authorities around the world to invest the resources required to remain vigilant against one of the biggest biological threats of our time. Highly infectious strains of the virus against which humans have little defense can spread from one continent to another with 24 hours. Fortunately, till now coinfections have been relatively rare. In one study conducted in 2010, scientists examined over 2,000 influenza samples without turning up a single coinfection. Others found a handful related to the swine flu pandemic: 1 in Singapore, 6 in China, 11 in New Zealand. Even though there may be a very small chance of this occurring, avian flu is still percolating in Southeast Asia and it continues to exhibit an extraordinarily high fatality rate in humans.